Michaela Watkins, aged 10, was found dead in her family’s apartment on March 11, 2007. Her body was severely bruised and burned. Michaela’s father, Patrick Watkins, and her stepmother, Joy Watkins, claimed that Michaela’s death was an accident—that she had burned herself in hot water in a bathtub and then fallen down the stairs. Michaela had previously lived with her mother, Rachel Samuels, and stepfather, Patrick Samuels, but was removed to foster care and then given into the custody of her father and stepmother following charges that the Samuels had neglected her. This was in spite of the fact that Patrick and Joy had a history of domestic violence disputes, and that at the time of their divorce Rachel had taken out a restraining order against Patrick. Officials at Michaela’s new school described her as a sweet and loving overachiever, but in December of 2006 Patrick and Joy withdrew the girl from school to homeschool her. Her grandmother, who lived nearby, was aware of the verbal and physical abuse the girl suffered at the hands of her father and stepmother, and tried to keep an eye on the girl. Neighbors were also aware of the girl’s abuse, but were intimidated by Patrick’s angry and volatile behavior. Michaela began to lose weight quickly, and was often confined to her room, given only a bucket to urinate in. Joy’s mother called social services, who visited the home and continued to monitor the situation but did not see sufficient reason to remove her from the home. 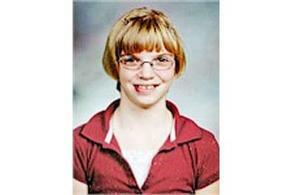 In the end, Michaela was beaten to death by her stepmother while her father did nothing to stop beating. Both were convicted, and the three children remaining in the home were removed to foster care. Michaela Watkins was failed on numerous levels.